Speaking publicly for the first time since his firing, former Market Basket president Arthur T. Demoulas issued a statement on Monday urging the company’s new management to reinstate longtime employees who were fired for publicly protesting his termination. In recent days, the supermarket chain that has inspired a loyal customer base for its reliable service and reasonable prices has faltered badly, with customers finding empty produce racks and seafood cabinets where they used to find bargains for their families. The board of Market Basket, which operates under Demoulas Super Markets Inc., was scheduled to meet at 5 p.m. Monday following yet another day of loud protests from employees, customers, and public officials. Since Arthur T.’s firing nearly a month ago, Market Basket, a chain with 71 stores and $4.6 billion in annual revenue, has become both a public spectacle and political cause. The Save Market Basket Facebook page has 40,000 likes. Online petitions demanding Arthur T’s reinstatement have attracted more than 16,000 signatures; dozens of Massachusetts lawmakers have pledged to support a boycott of the supermarket. On Monday, the governor of New Hampshire weighed in, urging the supermarket’s leadership to quickly resolve the dispute. 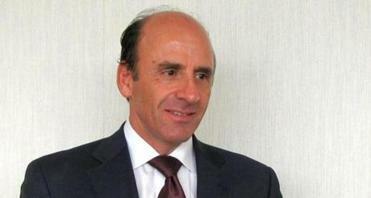 The statement was the first public response by Demoulas since his firing in June. Despite the public hand-wringing over the supermarket dispute, the two mega-millionaire cousins at the heart of the battle -- Arthur T. and Arthur S. Demoulas -- have remained publicly silent, allowing backers to fight on their behalf. “In the final analysis, this is not about me,” Demoulas said in his statement. “It is about the people who have proven their dedication over many years and should not have lost their jobs because of it. I urge that they be reinstated in the best interest of the company and our customers.